As healthcare premiums continue to increase, and employee needs increasingly diversify, the majority of employers seem to be searching for options. A self-funded or level-funded health plan can be attractive to employers in a variety of different reasons, the most of which is saving on claims and ensuring a higher level of financial security. 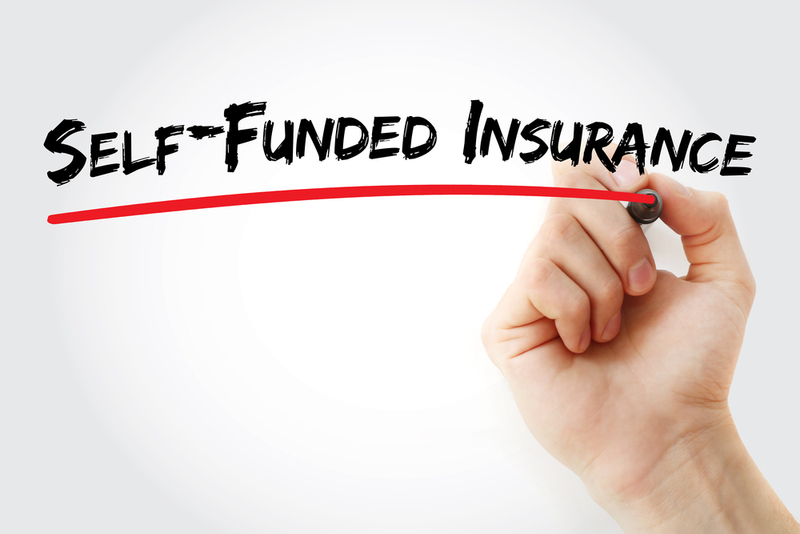 What are the ins and outs of self funded health insurance? How do self-funded plans compare to fully insured plans? Is level funded the same thing as self-funded, or how do they differ? Read on to find out more. What is Self Funded Health Insurance? Self funded health insurance is unlike what most people think of when they think of health insurance. Instead of using fully insured carriers and paying a monthly premium, the employer takes it upon themselves to accept the risk and liability that would otherwise be absorbed by the carrier. Any excess in premiums paid not used by claims traditionally would be the profit of the insurance carrier. With self funded plans, those would-be carrier profits are instead kept by the employer. This is typically the main reason why self-funded plans are so attractive for most employers, because everyone is looking to save money if they can. Self-funded plans are most often utilized by larger companies that have at least 50 employees. However, after the drastic changes brought upon by the Affordable Care Act, we are seeing more and more small to medium sized businesses adopt a self-funded healthcare plan. As long as a business is financially stable and disciplined, self-funding can be very a effective business decision. In addition to savings the employer would see after adopting a self-funded plan, deciding on such a plan also offers more flexibility and options – such as the ability to tailor their plans to the individual needs of their team and staff. The premiums the employer pays to the direct carrier are most often fixed annually, and the cost of a premium depends on how many employees are enrolled in the plan. The cost of the premium will vary if more employees decide to enroll in the employer’s health benefits program, or if some opt out and no longer wish to be enrolled. The carrier will take the premiums and apply them to any claims made by employees. Any excess funds paid towards premiums not covered by claims will again, be profit for the insurance carrier. The employee and their dependents are responsible for any applicable deductibles or co-pay in accordance with their individual policies. This is the traditional model of health insurance for business, which is becoming increasingly antiquated. Fixed costs and variable costs are the two biggest costs to take into account when it comes to self-funded insurance plans. Fixed costs come in the form of administrative fees or any other fees, which are set by the employer. A stop-loss premium is a fixed cost as well. The most notable variable cost is any kind of healthcare claims made by the employee. Obviously, there is no way to completely predict these costs, as they will differ every month. This is perhaps the biggest risk when it comes to assuming responsibility of self-funded plans. Most employers nowadays tend to have a combination of a self-funded plan and Health Reimbursement Arrangement (HRA) or self-insured reimbursement plan. These plans raise deductibles on the healthcare plans and then the difference comes out of the employer’s pocket. The other option is a self-insured reimbursement plan, which most small to medium business choose. Self-insured reimbursement plans absorb the cost of both the premiums that employees will pay and for any kind of medical expenses that are qualified. This type of plan is ideal for many small to medium business who have different needs, because not every plan is right for every company. As you can see, if an employer decides on a self-funded healthcare plan, assuming responsibility can present a major financial risk. In order to minimize such risk, many business owners will purchase a stop-loss policy, which puts a cap on claims the employer is responsible for. This layer of stop-loss protection is factored into the employers self-funded plan. There are two forms of stop loss coverage: aggregate stop loss and specific stop loss. Aggregate covers the entire group of covered employees, while specific stop loss covers one employee that is at a higher risk of making large claims than others. Most companies have some form of both. We hope you got some of your questions answered after reading this article. If you still have some questions as to how stop-loss insurance can benefit your business, please don’t hesitate to contact us today.